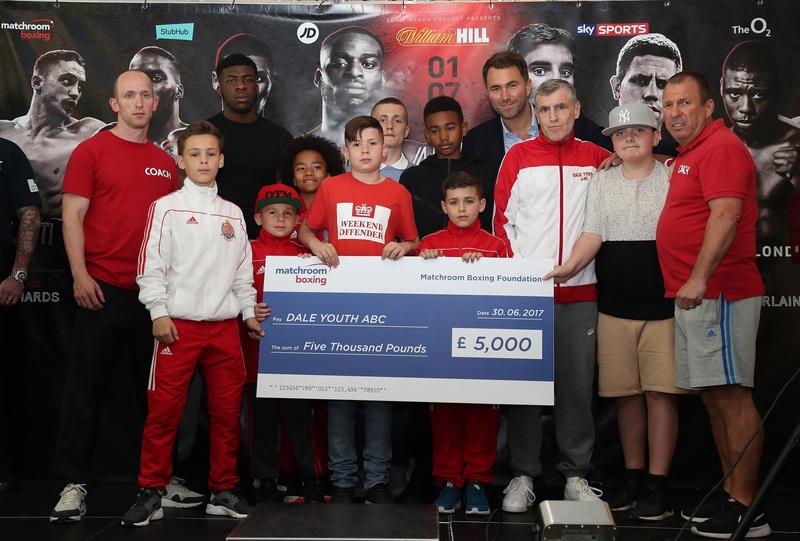 The Matchroom Boxing Foundation has provided financial support to the Dale Youth ABC in the wake of the Grenfell Tower fire – and their most decorated graduate James DeGale MBE has backed the club to bounce back stronger. Dale Youth ABC was housed in the basement of Grenfell Tower that was completely destroyed in the blaze, and club trainer Mick Delaney says that they will look to rebuild in nearby Ladbroke Grove in time for the new season. “It’s devastating what happened to the families at Grenfell Tower,” said Delaney. “The loss of life is so tragic and it’s still hard to come to terms with that. “I was in the club late the night before the fire and got a phone call from one of the lads who passes the tower in the early hours to say it was completely ablaze. IBF World Super-Middleweight champion DeGale cut his teeth at Dale Youth alongside old foe George Groves, and ‘Chunky’ says that the spirit of the club will see it return better than ever.